We’re well into the Nintendo presentation at E3 now. Hot off the back of the announcement of a brand new Star Fox and cross-game Amiibo (for Skylanders), some Zelda news has arrived. There’s a new game coming for the 3DS! 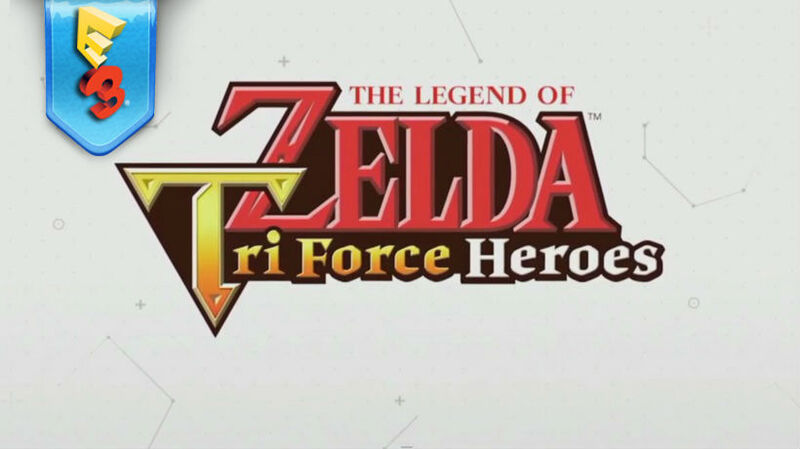 It’s called Legend of Zelda: Tri-force Heroes. It’s a co-op experience for up to three people. Based on the footage, there will be somewhat of an emphasis on puzzles. The three players for example, can pick each other up to reach new heights to shoot something which grants access to the next part of the dungeon. Another feature is the equipping of new abilities via new clothing. In the video for example, Nintendo showed Link equipping Spin Attack Attire, which, as the name implies, grants him the spin attack ability. It’ll be coming in Fall 2015.